What was meant to be a smooth hand off of power to replace Southwest Senator Bill Carrico has now become a growing controversy. 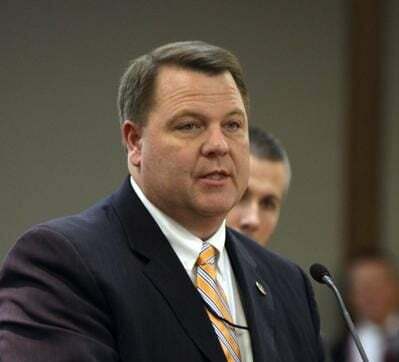 The first red flag was Carrico passing a heads up to his friend, Delegate Todd Pillion, about his retirement, then keeping it hidden from the public. Only after the filing deadline did Carrico announce he would be leaving public office. Pillion announced his intent to fill the seat exactly one hour later. Another candidate, Marion leader Ken Heath, managed to jump in the race with just two minutes left before the deadline. Now, local Bradley Powers is calling out Carrico for the move. “Bill was not required by law to tell anyone, but by morals, integrity and ethics, there should have been a sooner notification than after the deadline,” Powers said. The Republican nominee for Carrico’s seat, Virginia’s 40th Senate district, is set to be decided through a Republican Mass Meeting on a Thursday night in Gate City. Powers noted that the venue location and time would prevent many from attending, and said it was one more factor that led him to file an appeal with the Republican Party. Powers is currently gathering signatures to petition the party and change the nomination process to a primary election. If the appeal fails, the mass meeting will go ahead as scheduled on April 25 at 6:30pm at the Scott County Career and Technical Center. Ken Heath, one of the candidates for the seat, offered his comments of the events on Facebook. Although he supported the sentiment that a different time and venue would allow more voters to participate, he seemed to accept whatever decision the Republican party decides upon. “I’m here to run my campaign and win under whatever system that I need to. I understand the concerns that a mass meeting held on a Thursday evening will limit participation” Heath wrote. The remainder of his statement is available on his public Facebook page.